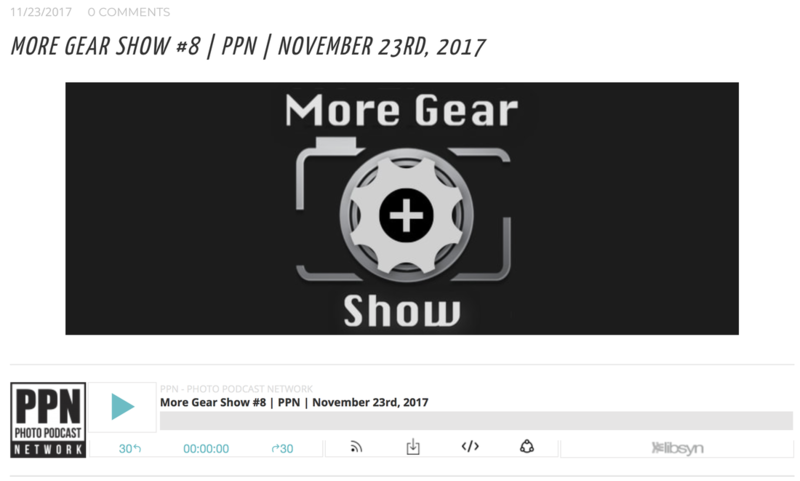 We are your audio camera magazine. 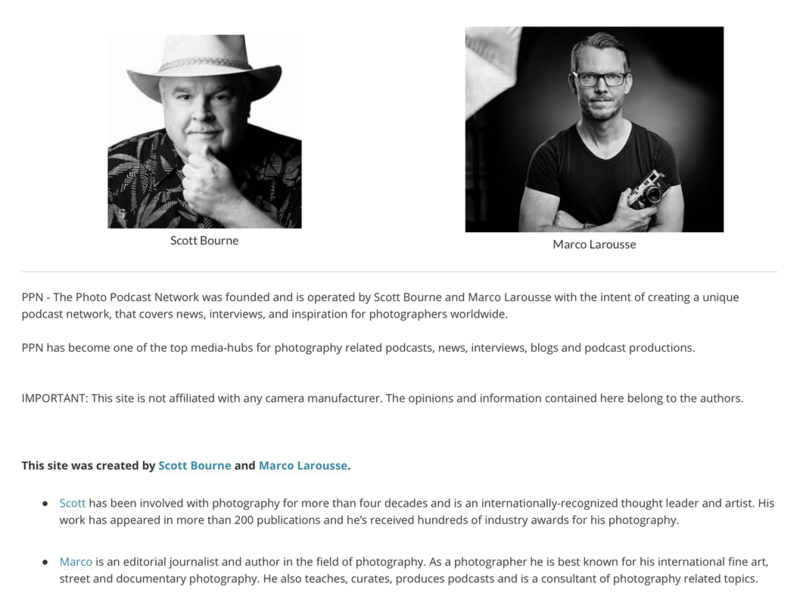 Check out Marco's Street Photography Workshops! PPN -Q&A #22 - When is it ok to work for free and when should you consider a full-frame camera over APS-C or m4/3? PPN - Camera and Inspiration #20 - Essential tips and inspiration for street photography with Valérie Jardin. 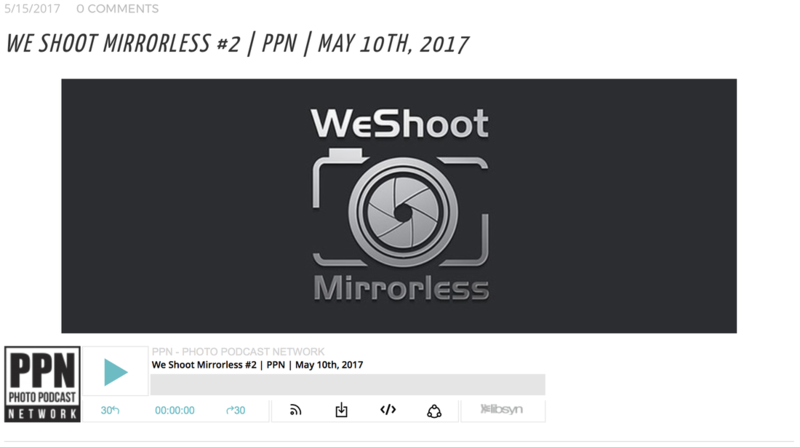 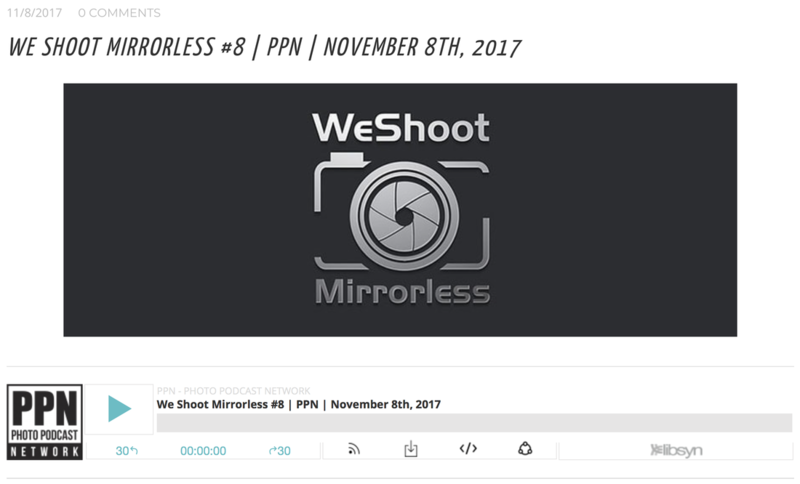 PPN - We Shoot Mirrorless #20 - Mirrorless news from Leica, Nikon, GoPro, DJI, Sigma, and more. 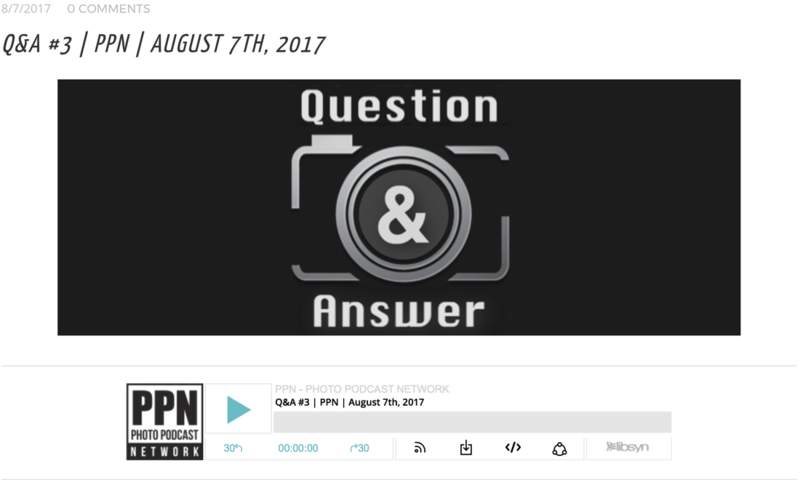 PPN - Q&A #18 - How many megapixels are enough, why you should not always rely on the histogram, and what online photo print lab should you choose? 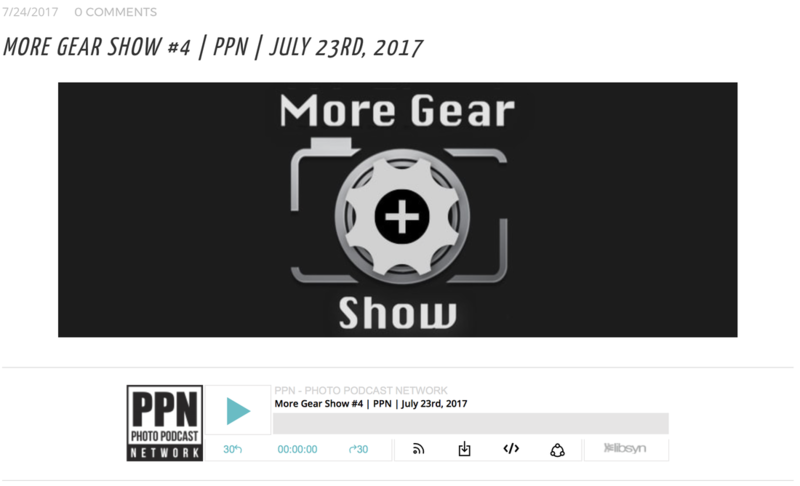 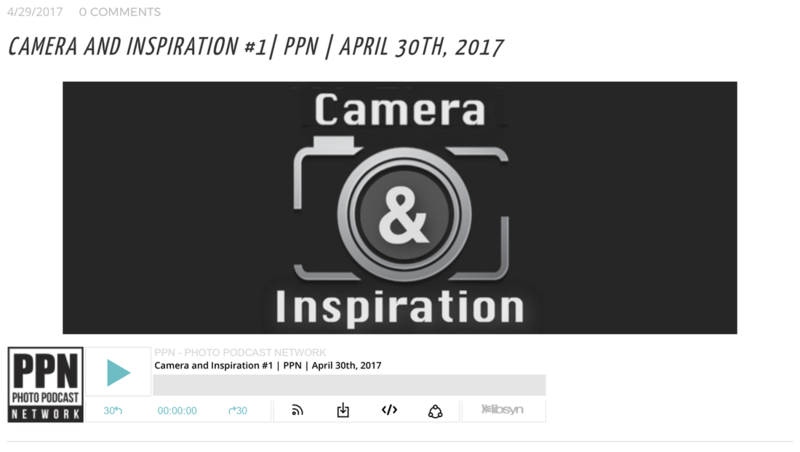 PPN - More Gar Show #19 - Which camera filters do you need for your photography and how should you use them to get the best effects? PPN - We Shoot Mirrorless #19: Photokina 2018 - Big camera news roundup - Panasonic S1, L-mount alliance, Fuji GFX 50R, Sigma, Ricoh GR III, Zenith M, Zeiss ZX1, and more - with co-host Angela Nicholson. 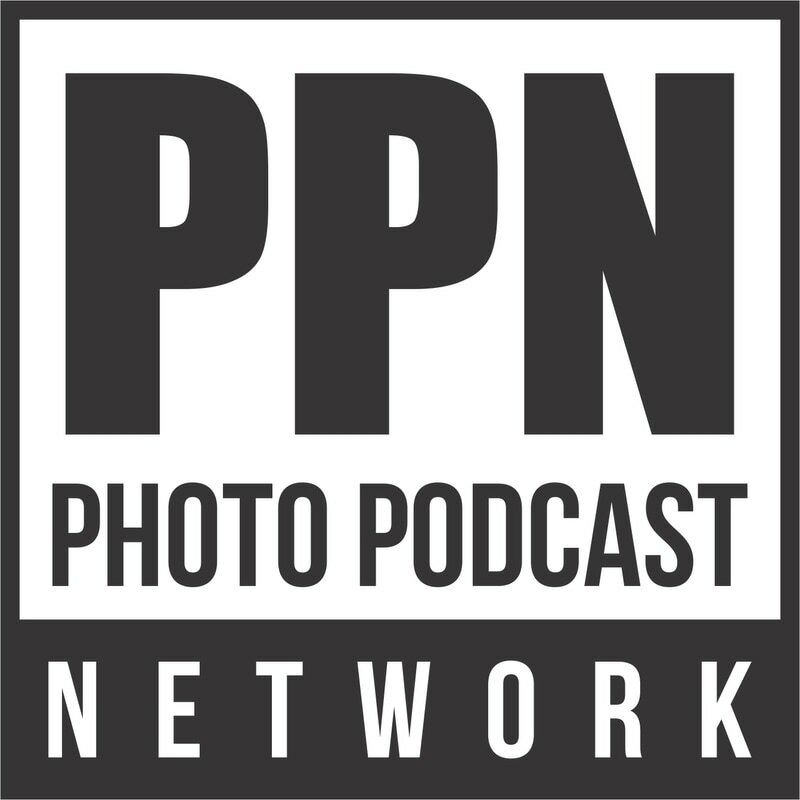 PPN Q&A #17: How much should you charge for your images, how to use a polarizing filter, and which camera to give to your kid? Camera and Inspiration #18 - Selling your images un galleries and online - with Jeffrey Stoner. 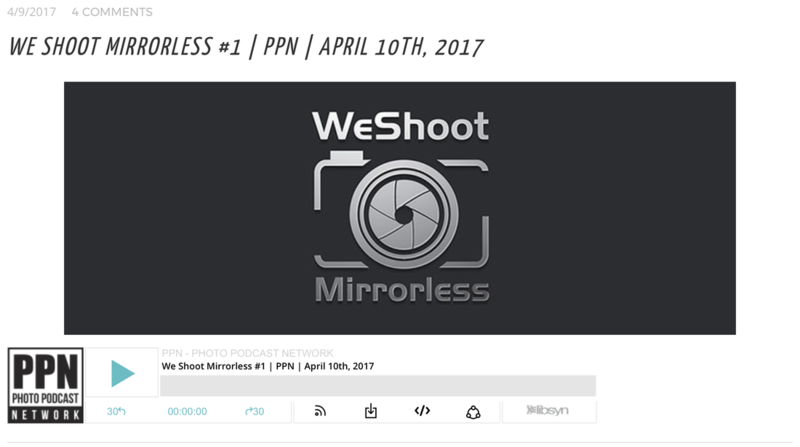 We Shoot Mirrorless #18 - New Fuji X-T3, Canon EOS R, Panasonic LX100 II, Leica, Apple, COSYSPEED, and more. Q&A #16 - Fast workflow suggestions, is one card slot safe enough, how to start charging for photos, and how to soft proof. 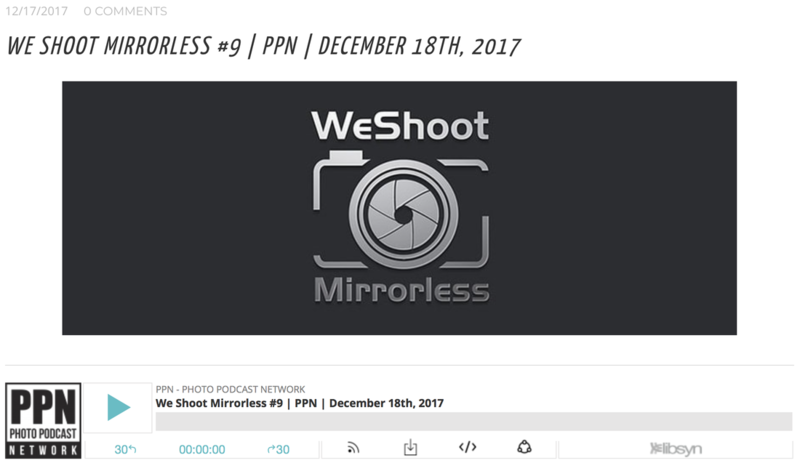 We Shoot Mirrorless #17 - Fuji XF10, Nikon FF camera, new Wide and Tele Lenses, Sony, Olympus, Panasonic, and more. 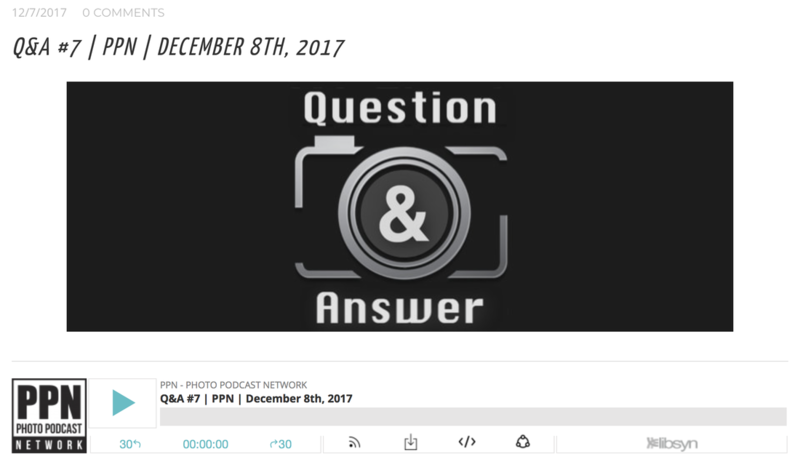 Q&A #15 - Wide angle lenses for street photography, which safari camera and lens to get, macro extension tubes, and good photo backup workflow. Camera and Inspiration #16 - Analog Photography Inspiration with Chris Marquardt. More Gear Show #16 - How to print better photos with guest Travis Mc Connaghy from Hahnemuehle. More Gear Show #15 - What Photo Gear To Bring On Your Vacation And Why? 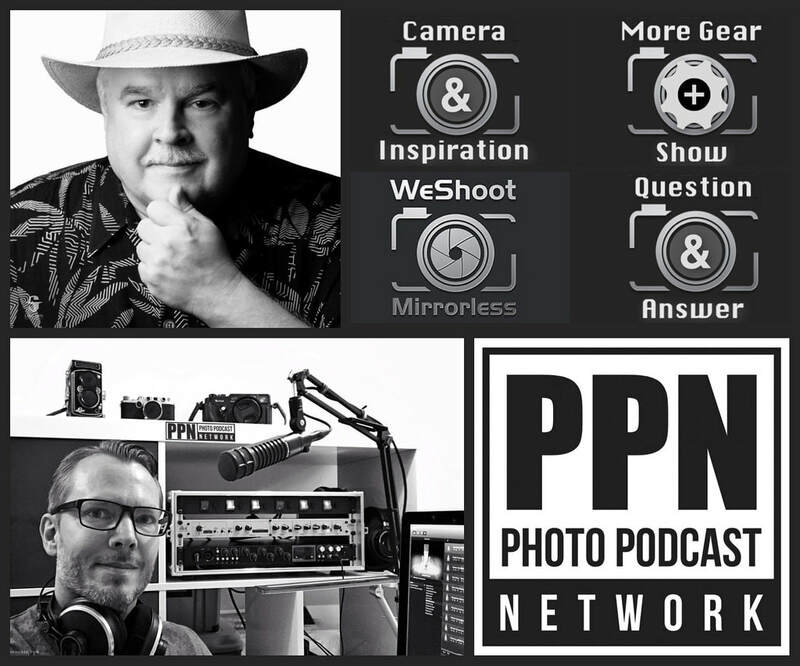 Q&A #13 - Camera metering modes, which printer to choose, and how to take an iconic photo? 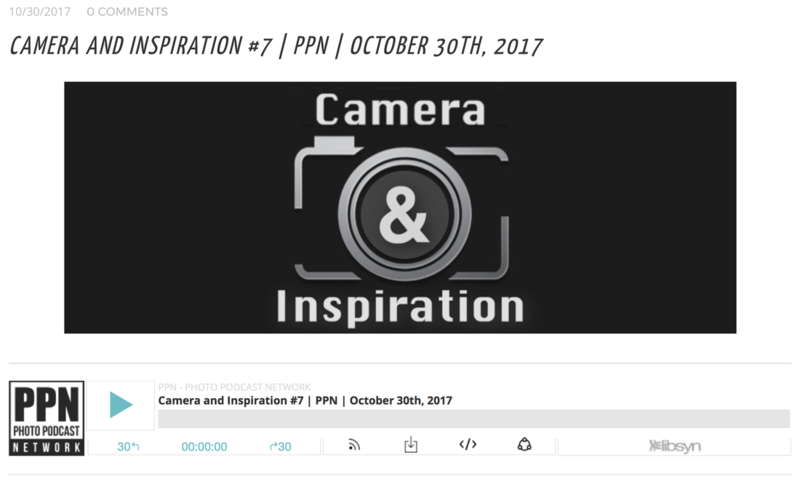 Camara and Inspiration #14 - Hands on inspiration with Olaf Sztaba - A visual poet and more. More Gear Show #14 - Which mobile flash and light modifyers should you use and why? 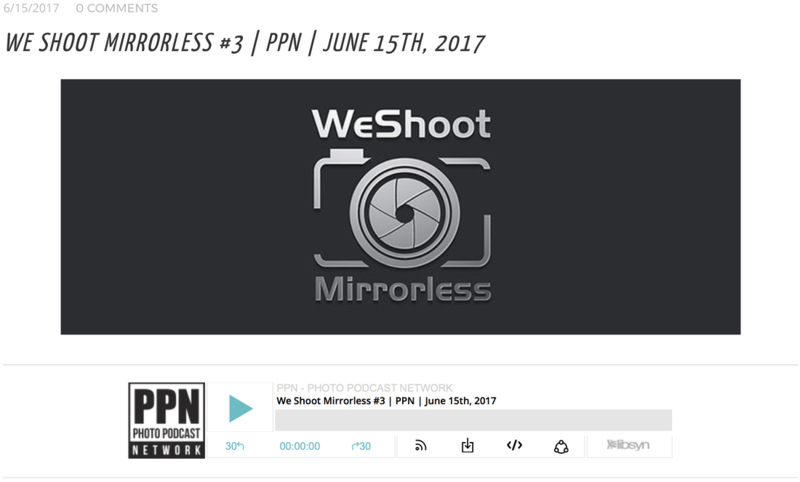 We Shoot Mirrorless #14 - Firmware Frenzy, Medium Format Love, and Vacation Cameras. Q&A #12 - Choosing your Camera System, Silver or Black Cameras, and should you enter Photo Contests? 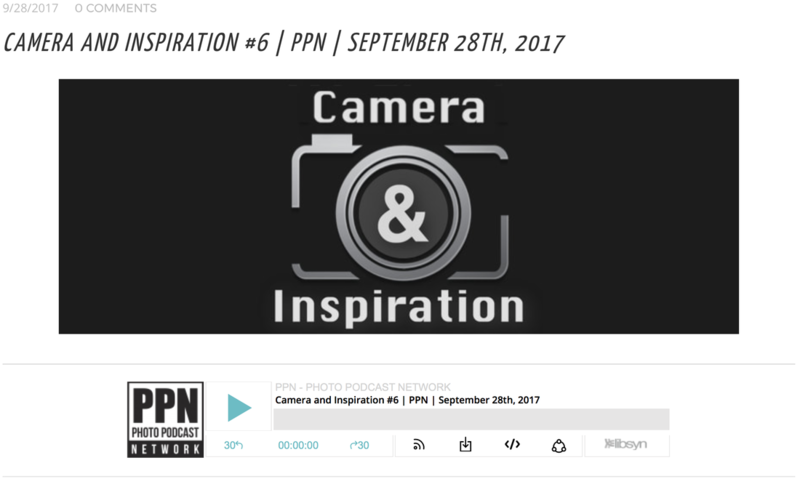 Camera and Inspiration #13 - Interview with Jeff Widener - Iconic Tank Man Photographer and Inspiring Guy and More. Q&A Podcast #11 - How to become a Pro Photographer, B&W Conversion, and Shooting Film.